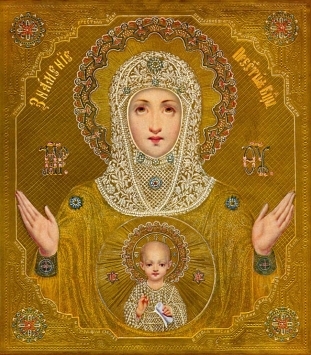 We fly to thy protection, O Holy Mother of God! Despise not our petitions in our necessities but deliver us always from all dangers, O ever glorious and blessed Virgin! Not only that, but Coptic and Greek versions - unlike the Latin one - end in "thou only holy, thou only pure" = Immaculate Conception + lifelong freedom of ALL personal sins.